Probate and trust disputes can become quite expensive, and many individuals do not have the financial resources to pay hourly fees or flat fees when trust litigation is needed. In these cases, the trust litigation attorneys at our firm may take a probate or trust case on a contingency fee basis. So What is a Contingency fee for Trust Litigation? This is a type of fee where the client only pays the attorney if there are funds recovered. In probate matters, this usually means the client doesn’t have to pay the attorney unless money or property is distributed to the client. 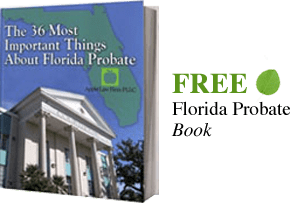 Usually, the client pays any costs or court fees as they are incurred, but the client does not have to pay a Jacksonville Probate Attorney for the work he or she does unless a certain result is achieved. How Much is the Contingency Fee for Jacksonville Trust Litigation? The probate attorneys at The Law Office of David Goldman will often take probate and trust litigation matters on a contingency fee basis under certain conditions. The attorneys at our firm will generally charge anywhere from 33% to 40% of the final reward from a court case or settlement. The percentage the attorney charges will depend on the issues of the case and the potential complexity of the litigation. If an appeal is necessary, then a probate attorney may charge a fee as high as 45% to cover the additional time and legal fees. The contingency fee will always be documented in writing, and the client will have a copy to review. The Jacksonville trust litigation attorney will review the agreement with the client to make sure the client understands how the fee works and what expenses the client will pay. This also permits the client to ask any questions, so he or she is so that they are fully informed on how the agreement will work throughout the litigation process. When Will a Jacksonville Trust Litigation Attorney Take These Matters on a Contingency? Many law firms who do probate litigation and trust litigation only want to be paid for their work on an hourly basis. However, we consider larger cases on a contingency fee. Typically the disputed amount must result in more than $500,000 and the facts strongly support your case. Often the facts may not be strong enough to consider a contingency fee arrangement initially. In those cases, we can start the case on an hourly or flat fee arrangement and then re-evaluate the circumstances after some initial discovery is completed. In some cases, the Jacksonville Trust litigation attorney will accept a smaller hourly rate and then a percentage of the case upon a successful outcome. This can help reduce the risk to the lawyer as well as provide a lower rate to the client. Contingency fee agreements are not uncommon in probate and trust litigation. A common example of this occurs when a parent has disinherited children, or when the parent reduces the inheritance of a child and gives the estate to a non-family member. In these cases, the person that will receive the bulk of the estate has total control of the money and can use the funds to hire an attorney under a standard fee agreement. The children contesting the will or trust have to use their financial resources to fund the litigation, which can often mean that these people are “priced out” of making a claim due to their financial position if they cannot find a lawyer to take the case on a contingency. The rules regarding contingency fees can found in Rule 4-1.5(f). Contingency fees are acceptable in other forms of litigation other than in divorce and criminal defense cases. Contact us today at 904-685-1200 if you have a trust litigation issue in Jacksonville or within the state of Florida and would like for a Jacksonville Trust Litigation Attorney to evaluate your case for a contingency fee. We will work with you to see if your case can be taken on a contingency or if another form of fee arrangement is more appropriate. Do I Sue the Trust or the Trustees?